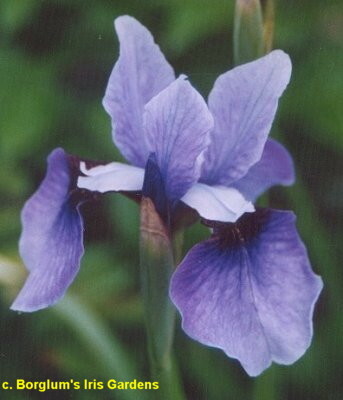 'Seneca Midnight Blues' ( Dana Borglum, R. 2004) SIB, bloom height 39" (99 cm), Midseason bloom. Standards pale blue-purple; style arms near white; Falls near black at hafts, lightening evenly towards bottom, broad pendant Falls. Parentage unknown. Borglum 2005.
jpg BHP_0316-X2_seneca_midnight_blues.jpg manage 147 K 20 Feb 2016 - 06:36 BrockHeilman Please contact Brock Heilman for image use.